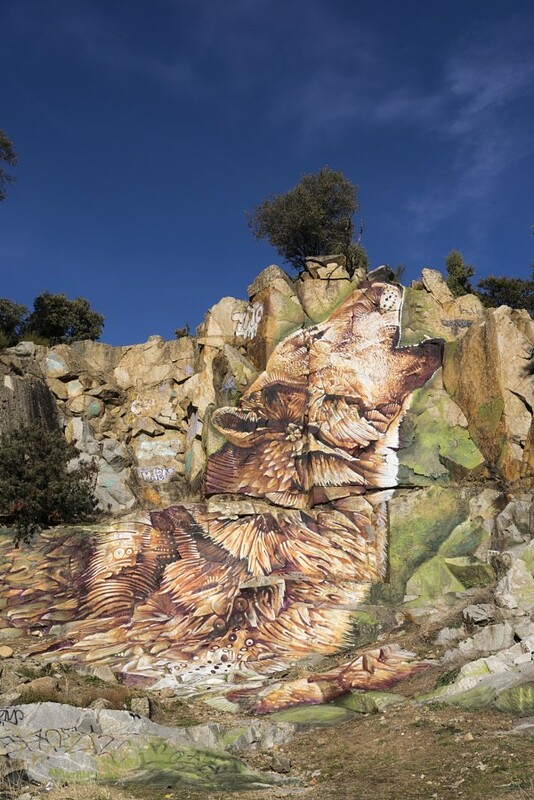 The lame wolf is based on a local legend from the location where the artwork was painted. 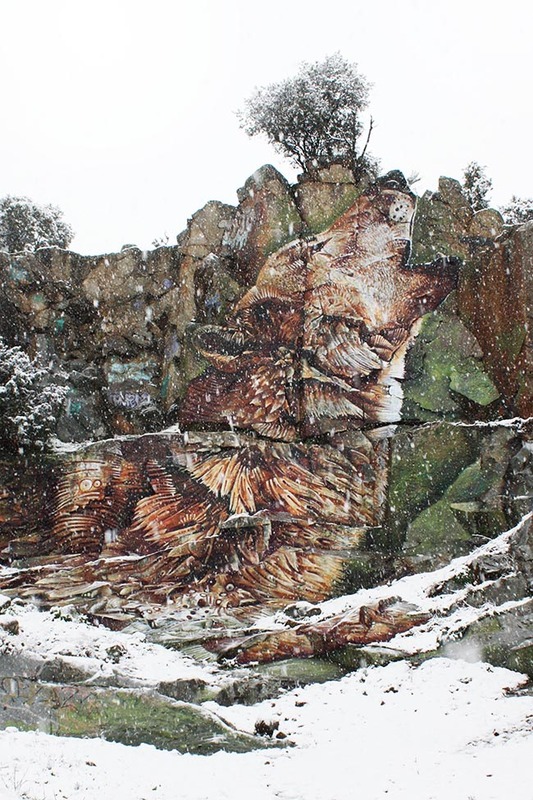 The history says that a wolf was injured by a hunter. 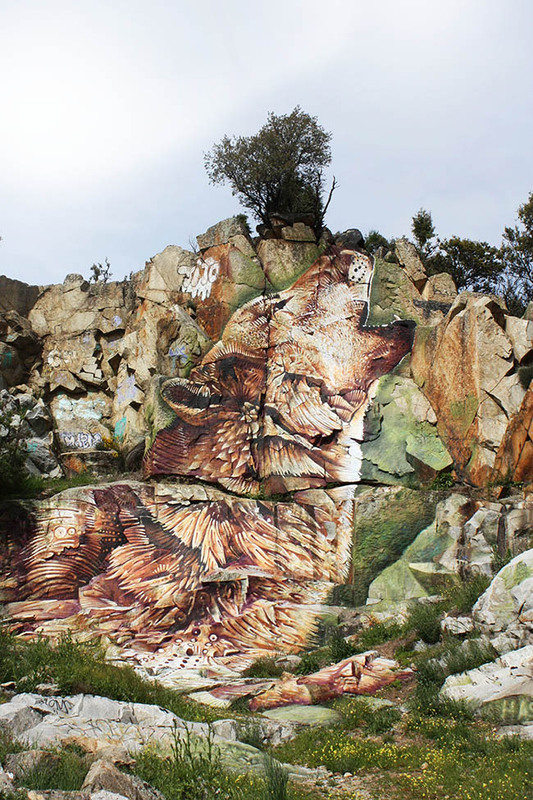 The wolf lost his leg and the hunter decided to provide care and repair his injuries. 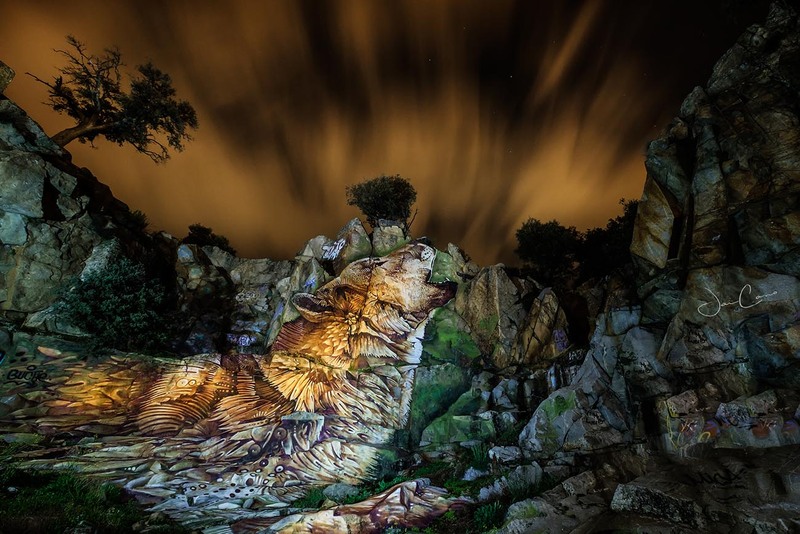 As the wolf could not be able to hunt anymore, he approached the town where people fed him. 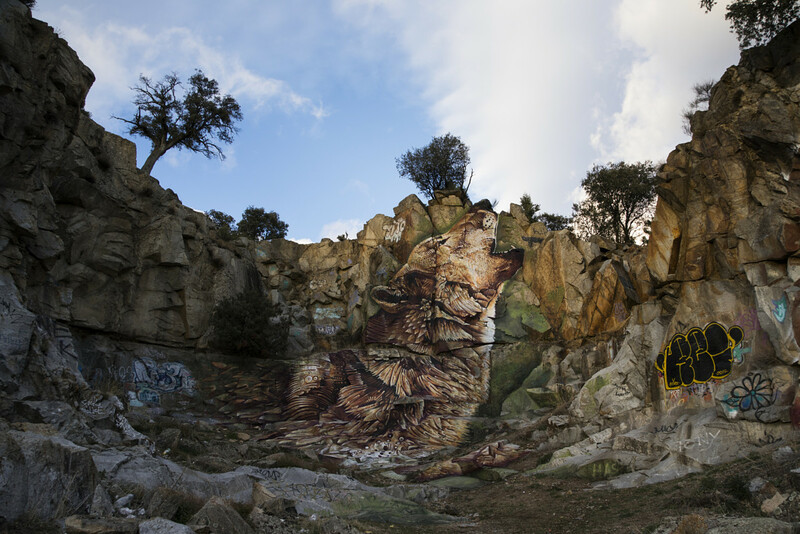 This artwork represents the story of the lame wolf in an abandoned stone quarry located outside of the city of Madrid where one of the most famous granite of Europe used to be extracted. After the civil war in 1939 the granite extraction was stopped and it becomes a leisure area for the swim. 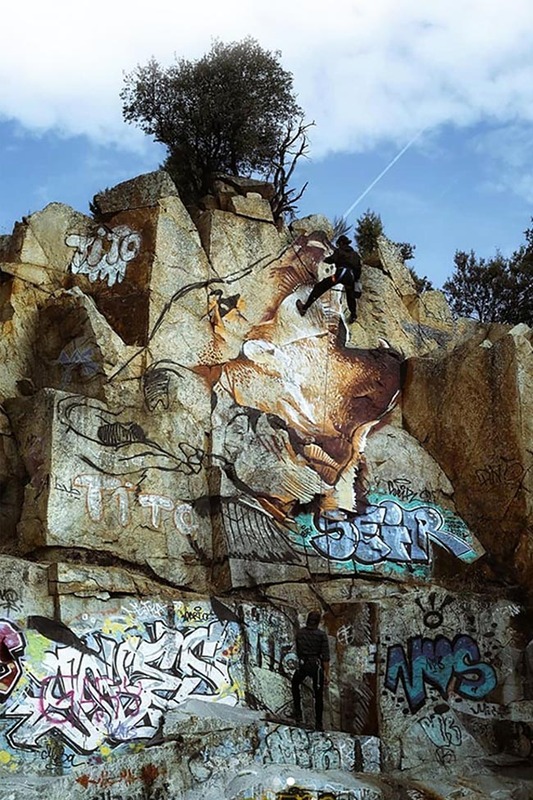 Over the years the stone quarry has been degraded with graffity and rubbish. 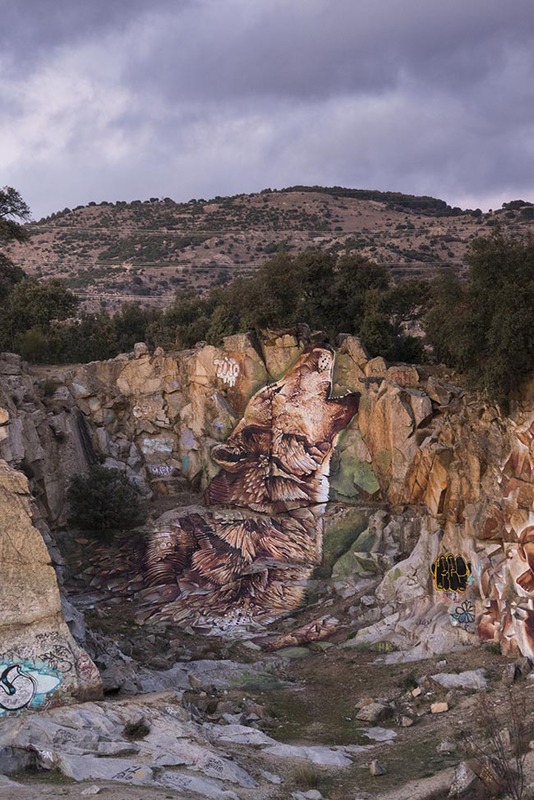 With this kind of intervention Sea162 wants to preserve the value of these spaces in order to remain the important of the cultural heritage. 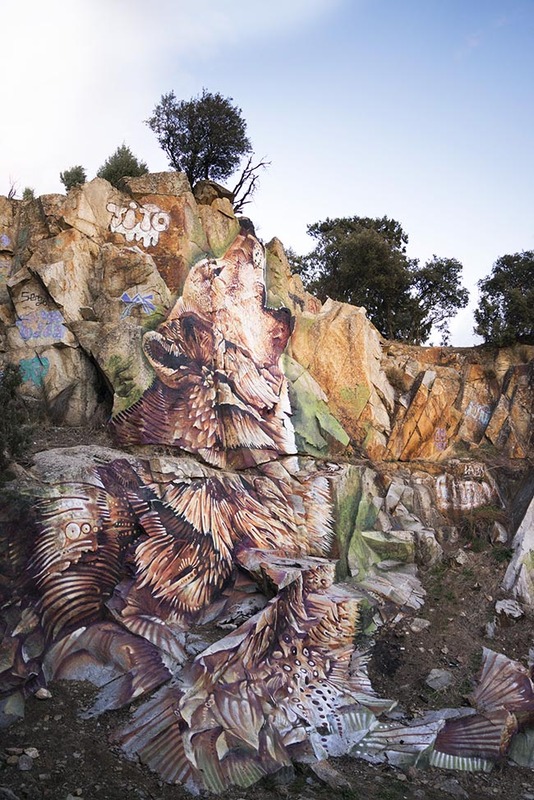 These spaces should be a link between human beings, nature and local legends. “A meeting between the past and the present”.